For those searching for the perfect wedding gift, we’ve hand selected a few favourites from The Wolseley Collection in the hope of providing some inspiration. With so many gifts to choose from, it is often difficult to find a wedding present that is both unusual and yet useful and/or decorative enough to be treasured in the years to come. So, for those looking for a gift thoughtful enough to stand the test of time, we’ve hand selected a few of our much-loved items to hopefully inspire you, whatever your budget. The perfect accessory for any sophisticated tea service. Elegant and simple, these silver-plated tea strainers make for a charming wedding present. A superb medium-bodied claret, a fine and crisp white wine and a lively champagne make this is a celebratory gift set which can be enjoyed either immediately or saved for a special anniversary in the future. This elegant gift set will make a stunning addition to any after-dinner drinks collection. Fine yet durable, these striking glasses showcase a smooth curved design and are finished with decorative gold detailing. 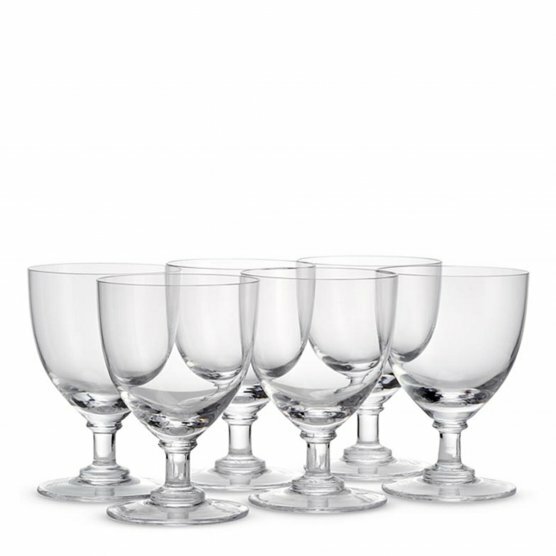 Exquisitely crafted from pure crystal, these elegant champagne coupes will add a touch of sophistication to any interior for years to come. An essential item to any drinks cabinet, The Wolseley Collection’s cocktail shakers offer both timeless design and durability, sure to be enjoyed on many occasions in the future. As seen in the restaurant, our iconic tea and coffee pots make covetable wedding gifts. Classic enough to stand the test of time, these personal gifts are full of character with no two the same. A bespoke wedding gift like no other, our limited-edition wine coolers were made exclusively for The Wolseley’s opening by one of the most respected names in contemporary British leather craft, Bill Amberg.